St Peter’s parish is a huge sprawling area. It was the only St Albans parish to construct a school beyond the town boundaries, and this turned out to be a fortuitous move. It was constructed in Camp Lane in 1898. 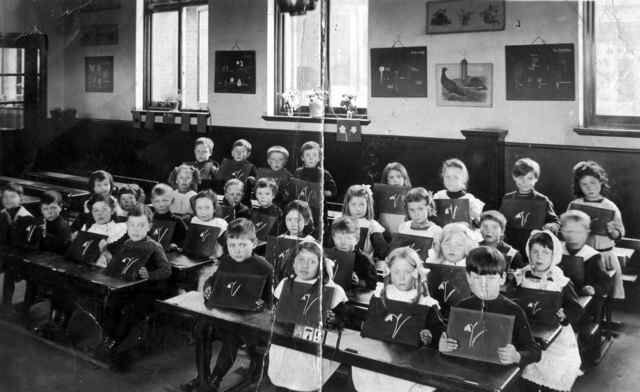 Known as the St Peter’s Rural Board School until 1902 when it was known as Camp Elementary School, with Infants, Junior and Senior departments. 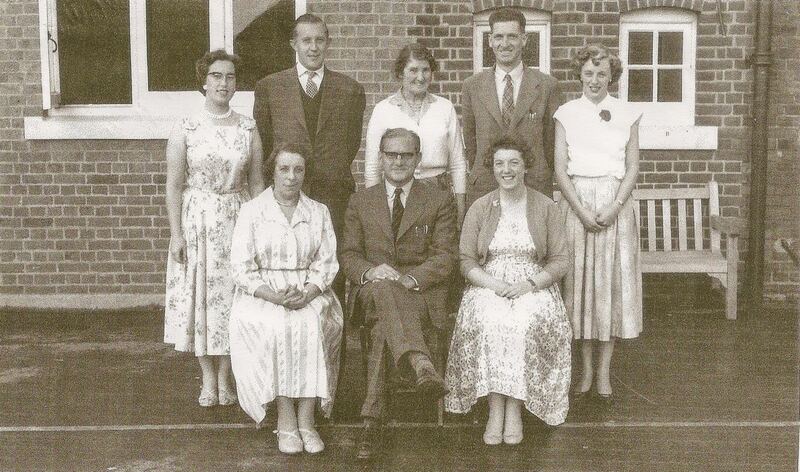 The first head teacher was Mr Charles Wimbrey, with his wife in charge of the Infants department. When they were jointly appointed to the new Fleetville School in 1908, Mr A W East became head. Mrs Preece was then in charge of Infants. In 1927 Mr East also transferred to Fleetville, being replaced by Mr S T Hill, who remained until c1950. Mr L Rawlins and Mr R Hoare were the next two head teachers. 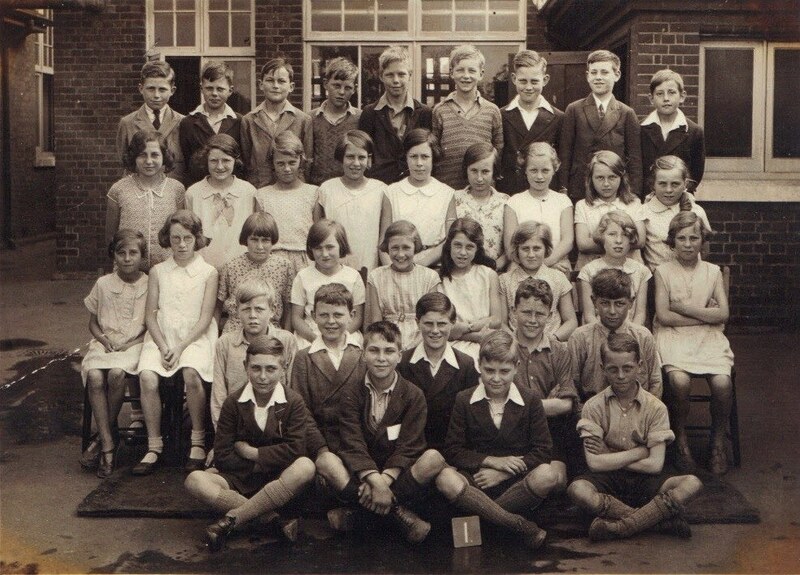 In 1931 senior girls transferred to Priory Park, Old London Road, and senior boys moved to Hatfield Road. 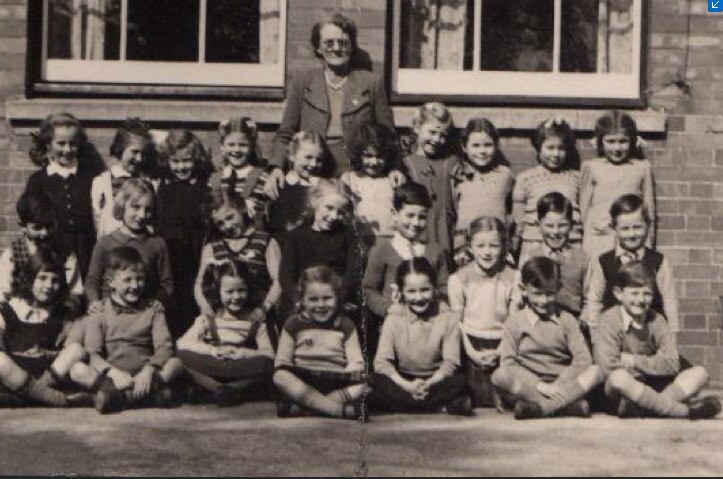 This release of space did not last long, for in 1936 two temporary classrooms had been placed on the playground to accommodate the upper juniors. They lasted until 1972. The additional land failed to materialise in full and no new buildings were added until the post-war years, with the exception of a new toilet block in 1934. 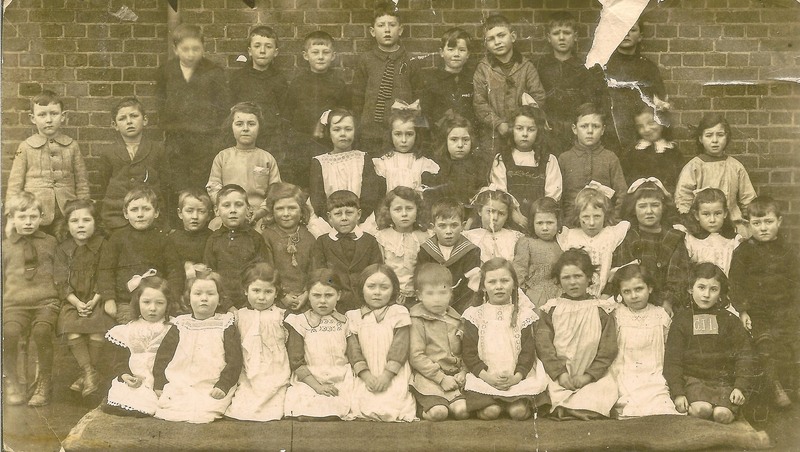 With no hall the school continued to use The Mission Hall (St Luke’s) opposite. A small additional part of Spring Field had been purchased as a school field, there being no nearby open space which the school could use for games and other outdoor activities. 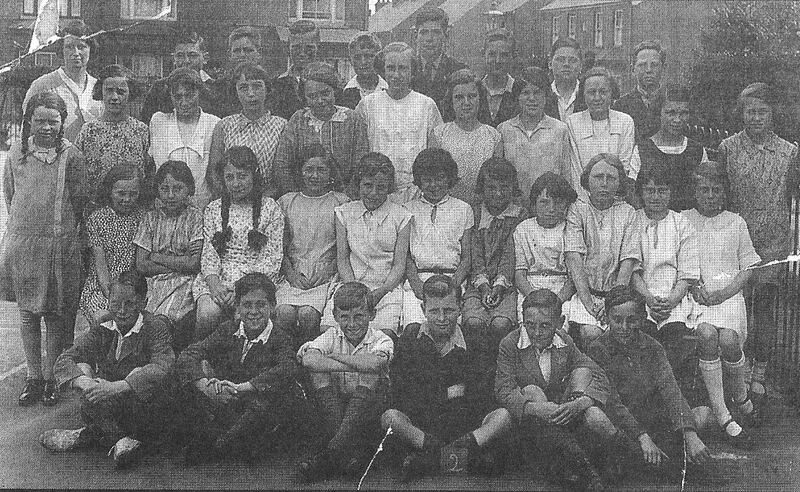 In 1946 the St Albans Education Committee proposed the re-building of the school using part of the adjacent allotment field. 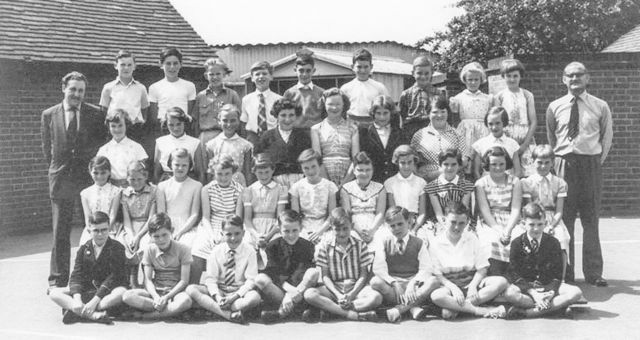 However, In 1949 came news that Camp School was to be replaced and land east of Cell Barnes Lane had been selected as a site for a new school. This would in time become Cunningham JMI School. 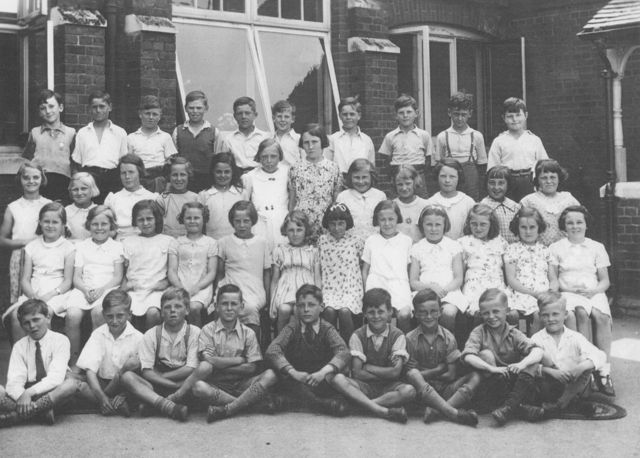 However before then, relief came in the form of Windermere JMI School, opened in 1955, the first of the two JMIs required to serve the new London Road estate. So both JMIs destined to replace Camp had been opened, but still Camp soldiered on, and today is still a thriving Primary. A nursery completed in 1973 was on the site of the former temporary classrooms. This was also the period when substantial improvements were made to a tired building, including new classrooms, hall, dining facilities and new toilets and offices. 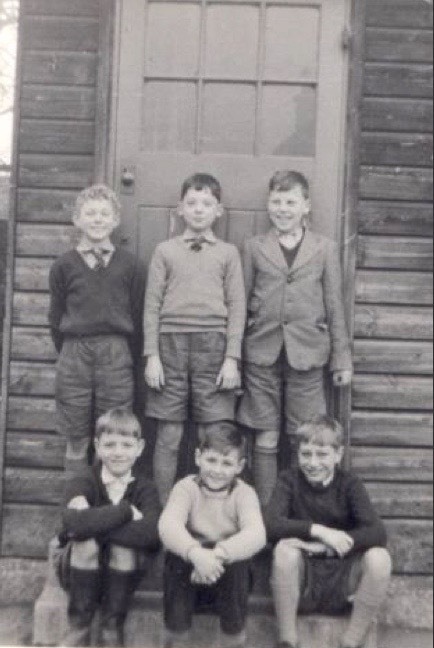 Below: six 1950s children outside a temporary classroom, informally known as The Bungalow. 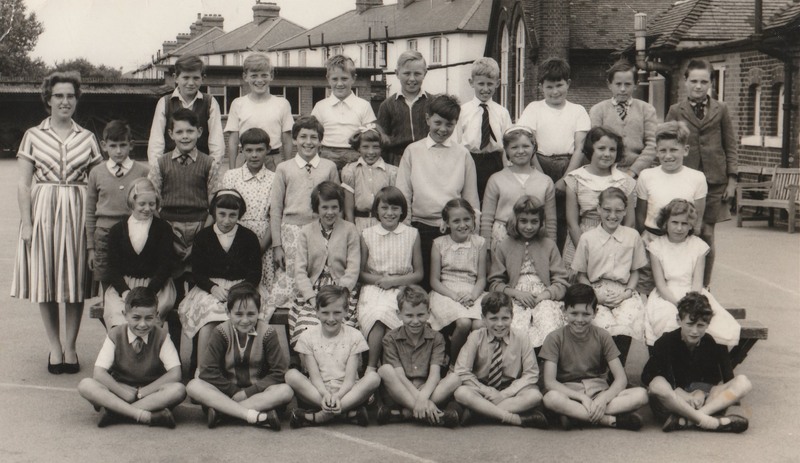 BACK ROW L-R: Mrs L Luck, Mr J Bonney, ? , Mr A Dunkley, ? This group has a wide age range, so is unlikely to be a single class, though is far fewer than a full school of girls. 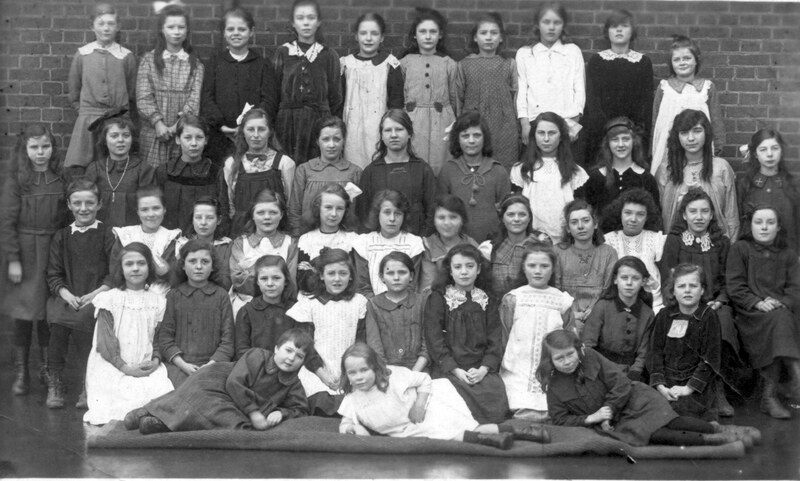 The same brick wall and the same "carpet underlay" type of matting is being used as in the group of girls 1922, above. 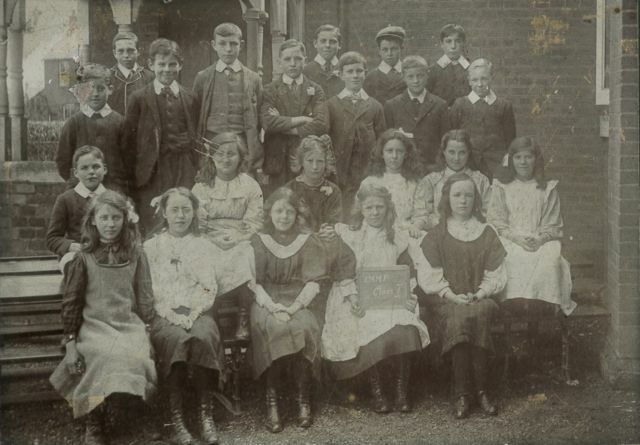 This picture of Class 1 – presumably of the Senior School. It was sent by Darren Stanton, whose family lived in Castle Road. The photo may include more of his family. 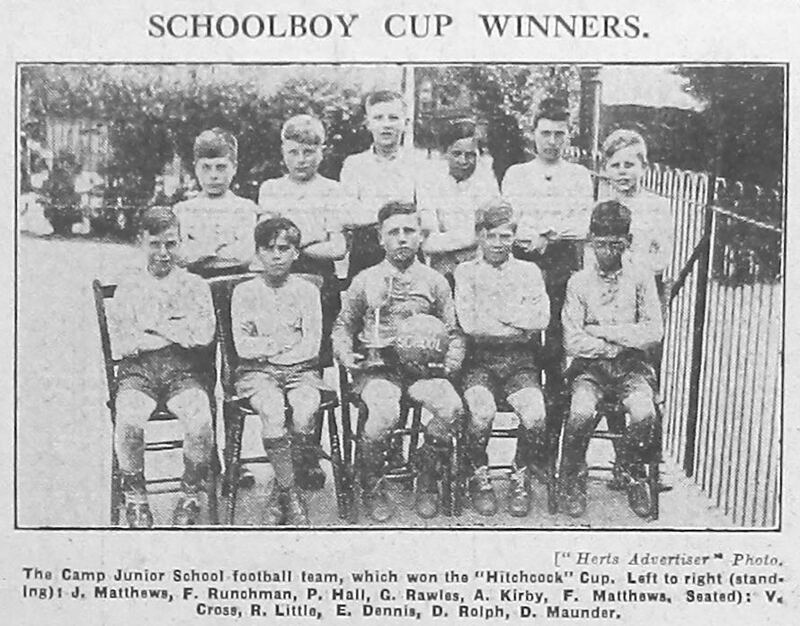 Hitchcock Cup winners in 1933. BACK ROW L-R: Eddie Coxall, Ronnie Rand, ? , ? , John Laver, ? , Billy Mills, ? , ? , ? This may have been the first "top class" after the senior boys moved to Fleetville and senior girls to Priory Park. The teacher is Miss Ward, but no-one in her Infants class has so far been recognised. 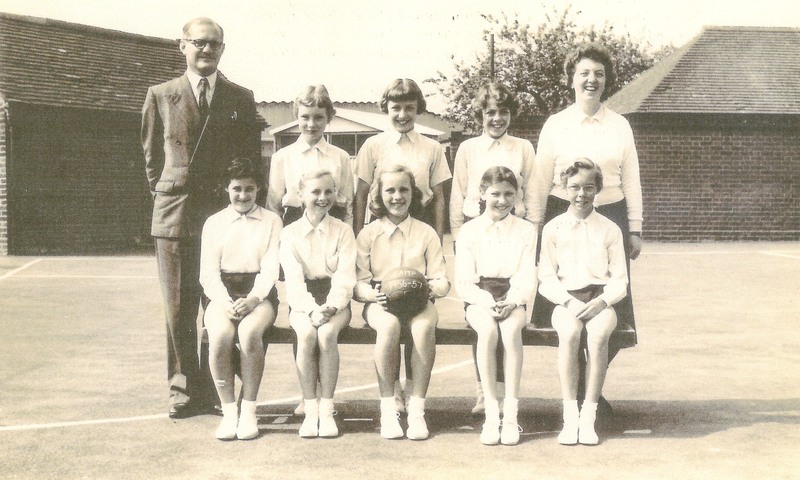 Who were these skilful netball players from 1930/31 ? 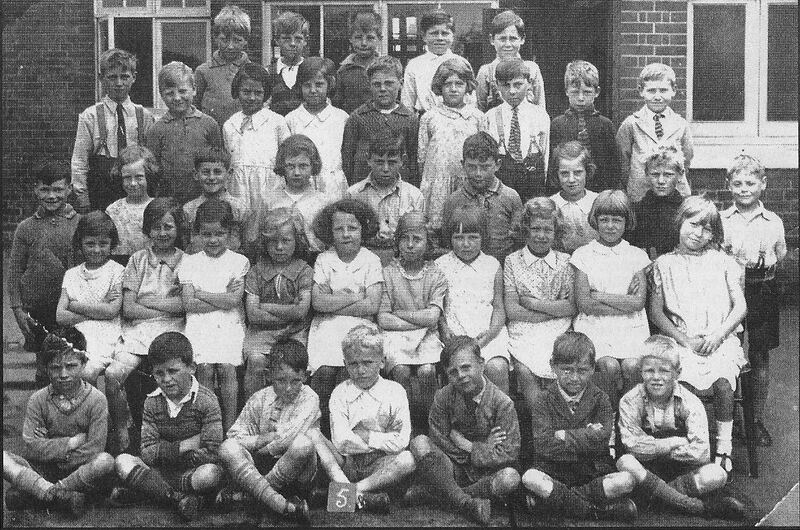 Forty children, not all of them looking happy. 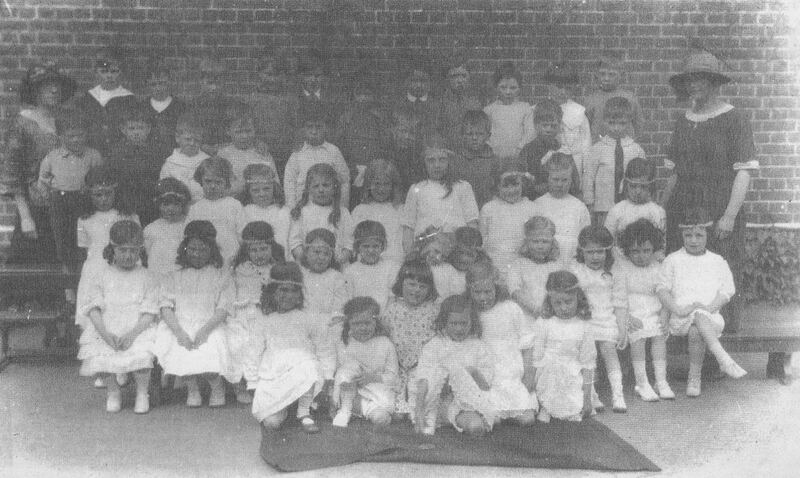 An Infants class in 1922. 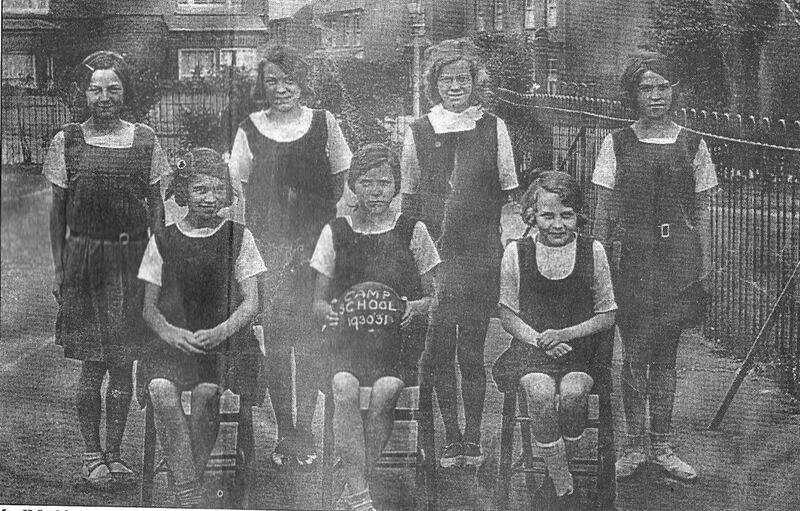 The girls have been arranged in the front four rows, while the boys, smaller in number, are in the shadows at the back! Is there a message here? FRONT ROW L-R: Steven ….. , Keith Robinson, Robert Atkinson, Andrew ….. , Alan Cheshire, ? , Gordon …..